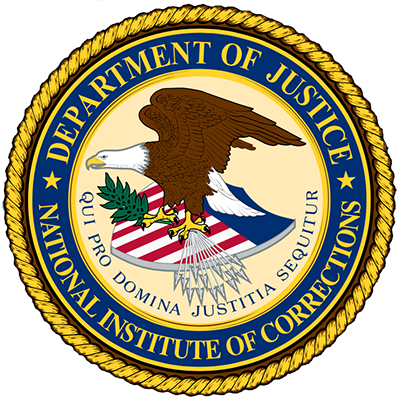 Courts in the United States process millions of criminal cases annually. Each requires a judicial officer to determine the conditions of a defendant’s release pending adjudication—bail. Bail determination is one of the most important decisions in the criminal case processing, designated as a “critical stage” by the United States Supreme Court where liberty and due process interests are paramount. Justice systems that administer bail effectively have as their overarching goals assuring a defendant’s return to court and safeguarding the community. To help balance the individual’s right to reasonable bail with the public’s expectation of safety, these systems assess the likelihood of missed court appearances or new criminal activity using factors shown by research to be related to pretrial misconduct and provide supervision designed to address these risks. Moreover, these systems give judicial officers clear, legal options for appropriate pretrial release and detention decisions. As a result, unnecessary pretrial detention is minimized, public safety is enhanced and, most significantly, the pretrial release process is administered fairly. Unfortunately, most local justice systems lack truly effective bail decision making components. Most judicial officers do not receive the information needed in bail setting to make the best decisions about release and detention, nor do they have a full statutory gamut of release and detention options to address the varying levels of risk found within the defendant population. Even when options exist, most systems lack the structure to monitor released defendants, to regularly screen detained defendants for release eligibility, or to safeguard individual rights and community safety. The shortcomings of the current bail system have made bail reform part of the larger national discussion on improving America’s criminal justice systems. 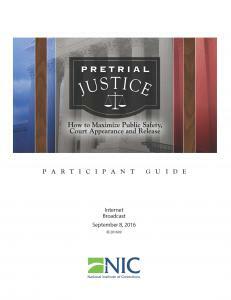 For most justice systems in America, achieving true bail reform will mean going beyond technical changes to a deeper and more holistic change in culture and attitudes about the concept of pretrial release; the rights of pretrial defendants; and what is truly needed to reasonably assure future court appearance and community safety. In order to achieve meaningful bail reform, all elements of an effective pretrial justice system must be defined and in place. During the broadcast presenters will: Define the framework for developing a high functioning pretrial justice system; Discuss the importance of bail history and the legal processes underlying it; Identify the essential elements of a legal and evidence based pretrial justice system; Identify the importance of the criminal justice system to support a legal and evidenced based pretrial services agency; and Discuss the differences between technical and adaptive change within organizations and the effects on implementation.